Wise guys, molls, rum runners, and bearcats; get jazzed for an ab-so-lutely ducky shindig! ​Join the one and only Lady Gwendolyn and her collection of crooks and creatures for a Valentine's Day ball that'll knock your socks off clear to Milwaukee! 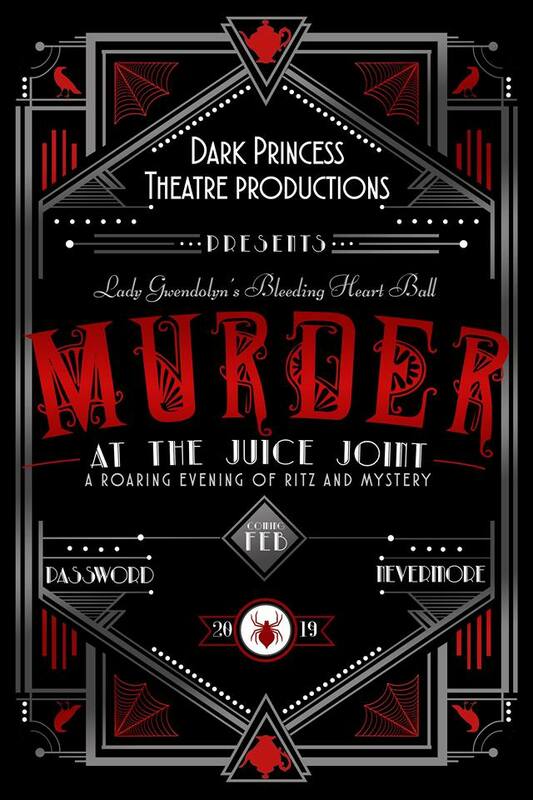 Ticket includes: Admission, Dinner, Dessert, Music, Entertainment, Door Prizes, one glass of beer OR wine, and a live interactive performance from Dark Princess Theatre! For any questions about registering as a vendor or sponsor contact us at darkprincesstheatre@yahoo.com .